"In this poignant and captivating autobiographical work, Irene Buenavida traced the history of her family, dispersed today to the four corners of the earth, and with nostalgia evokes the happy years she spent on the banks of the Nile. "The story of the Second Exodus of the Jews of Egypt is very close to my heart. 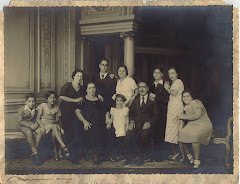 In writing Depart sans retour, I wanted to play my part in immortalising the wonderful heritage of the Jews of Egypt by telling the story of my family - another memoir to add to those accounts already written by Egyptian Jews living in the diaspora. It is essential to preserve and transmit to the younger generation the memory of what our life was like in our country of birth, from whence we were expelled more than six decades ago," said a very emotional Irene Buenavida at the launch of her book. For copies of Depart sans retour contact Irene Buenavida on 514-342-0033. To ensure Carmen Weinstein, the president of the Jewish community, a dignified Jewish burial, Seth Wikas had to look up Jewish burial practices on Google. Amazing story in The Forward of how Wikas, who arrived in Cairo to work at the US embassy in 2012, became the tiny local community's religious adviser. 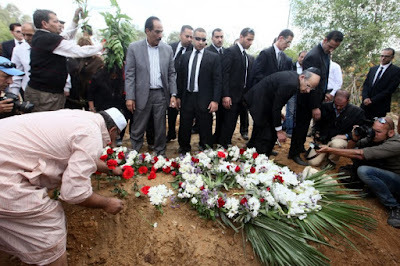 "Have you ever prepared a Jewish body for burial?” It was Saturday morning, April 13, 2013. The person on the line had called me hours earlier to let me know that Carmen Weinstein, leader of Cairo’s Jewish community, had died. I had arrived in Cairo nearly eight months earlier to work at the U.S. Embassy, and Weinstein was one of the first people I met. She was in her early 80s, the “Iron Lady” of Cairo’s Jewish community. She had seen the community dwindle in her lifetime to less than two dozen mostly octogenarian ladies from more than 70,000. Weinstein’s mission was simple: Religious festivals would be celebrated, and people would come — from old ladies to expat Jews. I became her trusted American adviser to make sure butts were in the seats for Hanukkah, Purim and Passover. She regaled me with tales of Cairo’s religiously pluralistic pre-1948 past, when Jews, Muslims and Christians lived together relatively harmoniously. Magda Tania Haroun Silvera (known to me as Magy) had called me earlier that morning to tell me about Weinstein. Magy and her sister, Nadia, became my Jewish mothers after a chance meeting at a Hanukkah celebration, when I was surprised to learn that Egyptian Jews younger than 60 existed, and that they lived around the block from me. The sisters never hesitated to ply me with food, tea, coffee, sweets and stories of the olden days. With that call I became Cairo’s chevra kadisha, after quickly Googling “ chevra kadisha ” and finding the Park Slope Jewish Center’s guide. Magy and Nadia picked me up, and we made our way to the Italian Hospital in the Abbasiya section of Cairo. Magy, Nadia and an orderly looked to me for direction as we stood over Weinstein’s body. I asked for the buckets of water and the sterile sheets, and gave directions regarding the washing, purification and wrapping. It was an emotionally exhausting day — not just because it was my first experience preparing a Jewish body for burial, but also because it was a changing of the guard. Weinstein was no more; Magy (the new president) and Nadia (the new vice president) were now in charge. Magy and Nadia did a masterful job of organizing a dignified funeral and burial. 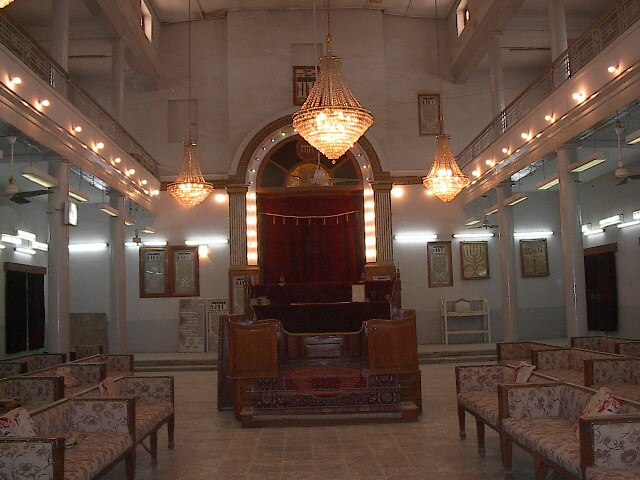 To foreshadow the new character of Cairo’s Jewish community, they publicly announced that the first day of shiva would be held at the central Adly Street synagogue, Sha’ar Hashmayim. In fact when Herbert Samuel appointed al-Husseini to the position of mufti in 1921, the latter set himself the goal of the expulsion of Jews from Palestine and preventing them from reaching it, but he did not have the powers to deal with thousands of Jews or the implications of the Balfour Declaration and the British aid to Jews. The mufti's position was weak and his allies conflicted and isolated. Surrounding Arab countries were weakened, each busy with problems with the colonial powers. Politically and economically it was not a good time to organize a strike or buy weapons. The mufti therefore concluded that he must enlist the aid of the Arab and Muslim world, and unite them and bring them to the Palestinian issue with the aim to get the help of millions of Muslims around the world. How did the mufti go about this? Like Abbas, the mufti sought to convince the Arab world that Jews plan to destroy the Al-Aqsa mosque and establish the Third Temple on the site of the Dome of the Rock, before conquering the rest of the Arab world. "Palestine does not satisfy the Jews, because the aim is to take over the rest of the Arab countries, Lebanon, Syria and Iraq and the region of Khaybar in Saudi Arabia, under the pretext that this city was the homeland of the Jewish tribes in the seventh century." Thus the mufti of Jerusalem said again and again. The mufti's propaganda methods were varied, but the most effective one was sending envoys to Arab leaders. These messengers carried "evidence" of the intention of the Jews to "defile" the holy places of Islam, invoices and receipts supposedly attesting to the payments made on behalf of Jewish religious institutions. The leaflets were illustrated with paintings of the Western Wall and Temple Mount. These illustrations were decorated with Jewish religious symbols. The materials caused anxiety among Muslim leaders in the Arab world. Moreover, the fact that Jews see the Western Wall as a holy site and a relic of the Temple worked up the Muslims' anxiety, and they rushed to the mufti's aid. 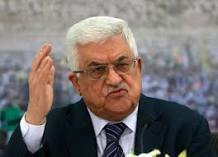 Much like the mufti, Abbas sees the al-Aqsa mosque as an instrument in his struggle and a means to enlist supporters in the Arab world and the international community to the Palestinian issue, which they already fed up with. 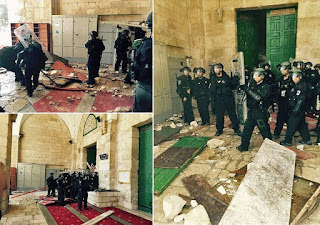 But the ruse of crying that "al-Aqsa is in danger" and calls to come and defend the mosque through self-sacrifice and bloodshed, succeeded this time in the same way that it did last year – the question is how many more times will the world fall into the trap before everyone sees through it? On the eve of Succot, the Feast of Tabernacles, I am posting this video of a traditional Iraqi piyyut, Succat Ve'Lulav. Succot recalls the sojourn of the Children of Israel in the wilderness before they entered the promised land. Jews are enjoined to eat their meals in a hut open to the stars for seven days. over the people of Israel. The musicians, who play traditional Iraqi instruments, include the famous violinist Yair Dalal. Douch and his grove are part of southern Morocco’s small and unlikely etrog industry, which has popped up here each summer for centuries. Almost no Jews live in Morocco, but a few dozen Jewish merchants support the industry, sending etrogs — called citrons in English — to Jewish communities on three continents for Sukkot. On the fall harvest holiday, Jews are commanded to pray with a fragrant, colorful collection of four plants, including the etrog. And even though Morocco does not have formal relations with Israel, the etrogs make it there, too. Because 5775 was a “shmita,” or sabbatical year, when Jewish law prohibits agricultural activity in Israel, demand for etrogs grown in Morocco is especially high this season. Crouched on a narrow dirt path last week, Douch surveyed his small etrog grove through intense eyes lined with deep wrinkles. The trees’ branches grew only a few feet high, sloping down an uneven embankment in tangles of large, oblong leaves. The bright green etrogs hung just inches from the rocky soil. Beyond the grove were sandy brown mountains covered in palm trees. 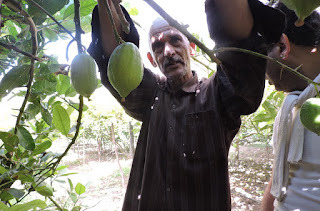 Jews were the first Moroccans to plants etrogs — near Marrakesh as far back as 2,000 years ago — said Hebrew University agriculture professor Eliezer Goldschmidt. Their Berber neighbors adopted the crop and continued to grow a small number of etrogs after the Jews left for Israel starting in 1948. Jews have bought the yellow fruits from Berbers for Sukkot ever since. There are no statistics on the etrog industry in Morocco, but up to hundreds of thousands of etrogs leave the country each year. Merchants said most of the fruits go to Europe, the United States and Canada. Israel began importing etrogs from Morocco in 2013 with a first shipment of 1,500. Israel itself was one large refugee camp in the 1950s and 1960s. The sight of row after row of tents filling our TV screens recalls the ma'abarot, hastily erected "transit" camps of fabric tents, wooden or tin huts. These were conceived by Levi Eshkol of the Jewish Agency to provide temporary housing and jobs. The first ma'abara was established in May 1950 in Kesalon in Judea. In 1964 1.3 million Israelis went to see the cinema box office hit Sallah Shabati -- a satire about a bearded Yemenite immigrant who has just arrived in the promised land with his seven children and pregnant wife. Sallah -- played by Topol, who would later achieve global fame as Tevye in Fiddler on the Roof -- uses all his wiles to try and make money and move into better housing. His name is a pun on words: "Sorry I came". The EU as a whole, with a population of over 300 million, is taking in as many immigrants today as Israel, a country of half a million, absorbed in the early 1950s. 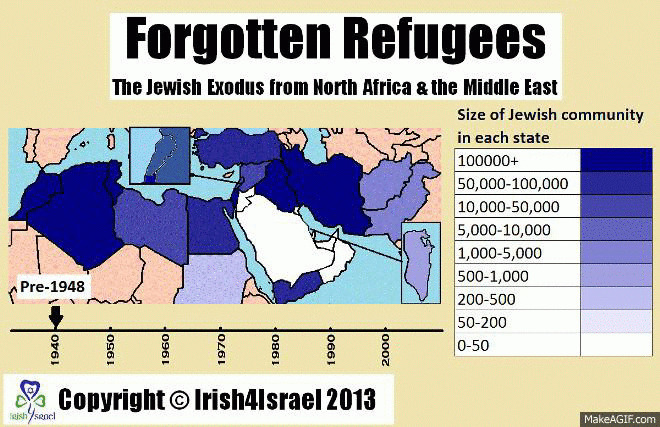 As well as 100,000 Holocaust survivors, the tiny struggling country took in 580,000 Jewish refugees from Arab countries. 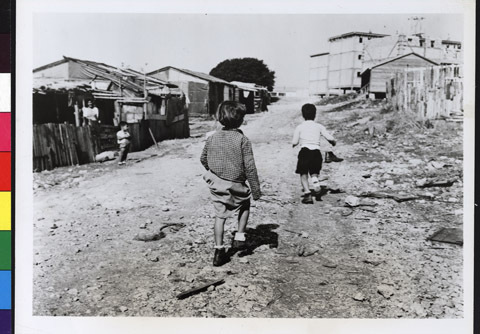 By the 1960s, the refugees had tripled the country 's population. 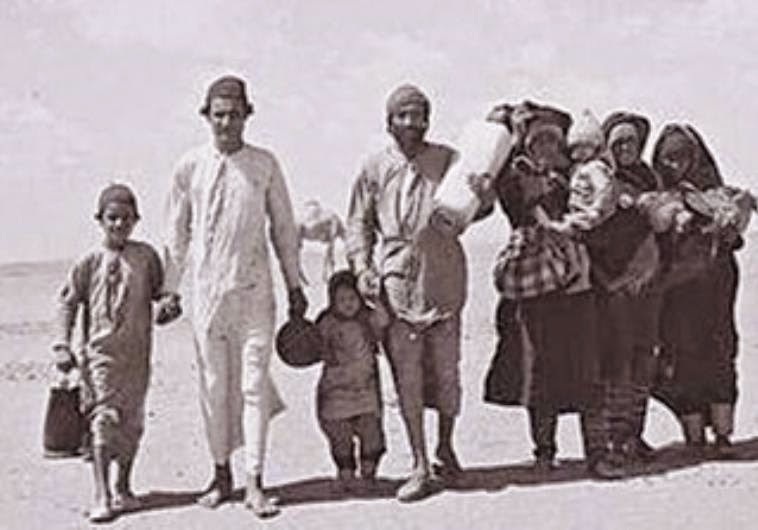 These Jews were destitute, escaping violence and persecution in Arab countries with nothing but a small suitcase and the shirts on their backs, having been stripped of their livelihoods and property. They had often left behind flourishing businesses and comfortable homes. There was no question of a "right of return" to countries where mobs went on the rampage shouting "Itbach al-Yahud" ("Slaughter the Jews"), money was extorted from them and they could be arrested on the slightest suspicion of being a "Zionist spy". The UN did nothing to ease the burden, and still today, the world remains oblivious to these refugees' existence. The size of Israel's endeavor was staggering. A nation of 650,000 absorbed 685,000 newcomers, some arriving with trachoma and TB. During the first years of statehood, roughly two-thirds came from Muslim countries. Conditions were deplorable. Too hot in summer, too cold in winter, exposed to the wind and the rain. Everything from food to detergent was rationed. Refugees had to line up to collect water from central faucets. The water had to be boiled before it could be drunk. The public showers and toilets were rudimentary. 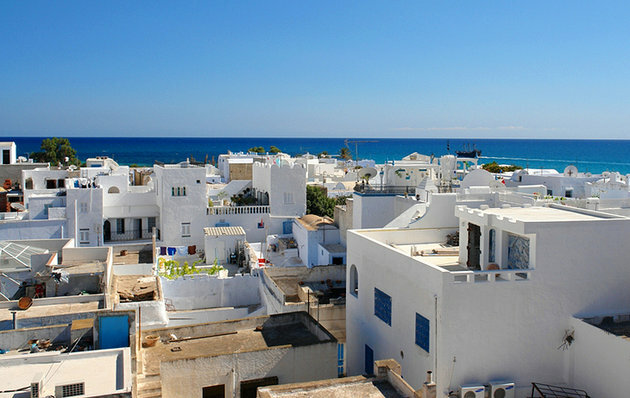 The 113 ma'abarot housed a quarter of a million people in 1950. Slowly the ma'abarot turned into permanent towns. Some residents stayed in the camps for up to 13 years. In spite of lingering resentments, the absorption of one of the largest numbers of refugees in proportion to the host population has been an astonishing success. Later, Ethiopian refugees and a million Soviet Jews brought their own challenges. By then, however, the country was a great deal more prosperous, and the refugees were sent directly to absorption centers. They were encouraged to attend total immersion courses in Hebrew and given money to help them afford a permanent home. Sallah Shabati captures the culture clash between the petty Ashkenazi (western) bureaucrats and the eastern refugees. Political parties come to the ma'abara to court people who have never lived in a democracy for their votes. Sallah himself has to climb a steep learning curve. The refugees press on and build new lives for themselves. Sallah's children fall in love with Ashkenazi kibbutzniks next door, prefiguring the 25 percent intermarriage rate in Israel today. It's a story with a happy ending: no matter the tribulations, Sallah is not sorry he came. 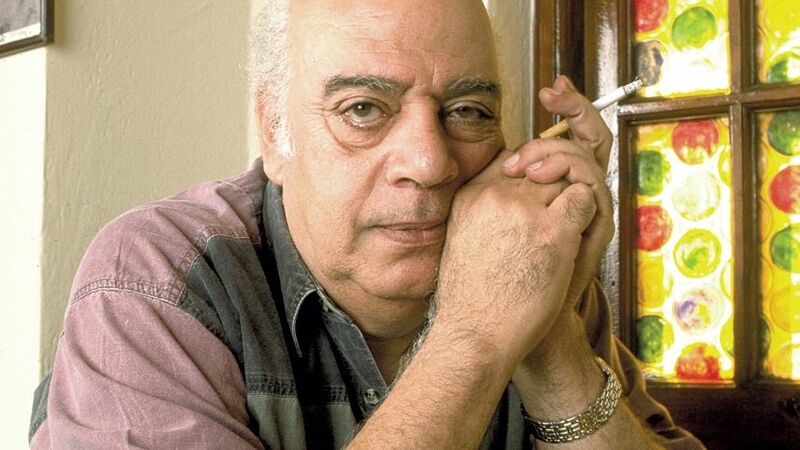 'Normalisation' between Egypt and Israel has lost one of its champions: the Egyptian playwright Ali Salem. AP - Ali Salem, a famed Egyptian satirical writer whose works include one of the Arab world's most popular comedic plays, died Tuesday in his home in Cairo of natural causes, Egypt's state-run Middle East News Agency said. He was 79. Salem's writings include 15 books and 25 plays. His most famous work was "School of the Troublemakers," a 1971 comedic play about a class of riotous teenagers reformed by a female teacher. Salem courted controversy by visiting Israel in 1994, traveling by himself without even telling his wife or three daughters. He drove a car across the border after Israel and the Palestinians signed the 1993 Oslo peace agreements. He said he had been thinking about visiting the country since late President Anwar Sadat made the trip in 1977, leading to Egypt's becoming the first Arab state to sign a peace treaty with Israel, in 1979. Salem's book "A Drive to Israel" sold more than 60,000 copies, a best-seller by Egyptian standards. But he was shunned in Egypt for the visit and fellow writers labeled him a sellout or collaborator. 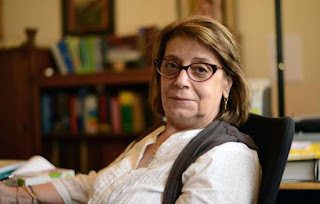 Salem's calls for peace and normalization with Israel eventually caused him to be expelled from the Writers Syndicate, a move that was overturned by an Egyptian court. Immediately after the court ruling, he resigned from the syndicate, saying he only went to court to prove a point. 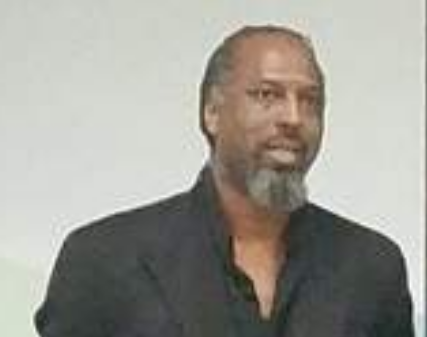 In 2008, Salem won the Civil Courage Prize from the U.S.-based Train Foundation, which said he was a "voice for peace and reason in the Middle East." The ceremony was co-sponsored by London-based Chatham House. In later years Salem became a public critic of former President Hosni Mubarak. Salem spoke in support of the protest movements against Mubarak years before the 2011 uprising that ended Mubarak's 29-year rule. Despite their invisibility today, as recently as the mid-1940s, Egypt’s Jews made up a diverse and vibrant community that at its peak numbered more than 80,000 people. Egyptian Jews were writers, film directors, business figures and political activists. They were also icons of a long-gone cosmopolitan era in Egyptian culture. Jewish-born singer and actress Laila Murad was a towering figure in midcentury Egyptian film and music. One of Murad’s associates was Togo Mizrahi, an Alexandrian Jew of Italian lineage and who was considered one of the founding fathers of Egyptian cinema. Mizrahi who directed films like Cocaine a 1930s tale of murder and drug abuse. That cultural flourishing ended soon after the 1948 war that birthed the neighboring state of Israel. 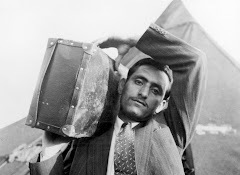 Coinciding with a surge in Egyptian nationalism in the 1950s, in the years following the overthrow of the British-backed monarchy, Egypt’s President Gamal Abdel Nasser began a mass expulsion of Egyptian Jews, sending many to Europe, Israel, and the US. Some settled in places like Paris, Cyprus, and the San Francisco Bay area. The expulsion continued for years, draining the community. In the 1950s, some Jews were issued one-way travel documents called “laisser-passer,” while others were stripped of their property. By the end of subsequent wars with Israel in 1967 and 1973, only a few hundred Egyptian Jews remained in the country, doing their best to continue daily life in a community now a fraction of its former size. As she speaks, a young Cairene couple walk in from the street, strangers come to wish her well on the holiday. In Haroun’s view, the creation of Israel upended regional politics and led to a backlash in Arab states, which then moved to outright expel or pressure their Jewish minorities. The simmering conflict between Israel and nationalist Arab regimes left some Middle Eastern Jews with an impossible choice: their religious affiliation or their homelands. Jews are not the only religious minority to have faced persecution in Egypt. The country’s Coptic Christians say they are regarded as second-class citizens, barred de facto from the top ranks of the military, harassed by the security forces and menaced in some parts of the country by jihadists. Egypt’s Bahai’s and Shia communities have also long struggled for rights under a state that refuses to recognize them. Haroun says the Egyptian government no longer threatens the few remaining Egyptian Jews with expulsion or other punitive measures, but little can be done to reverse the community’s impending extinction. That extends to her own family. Haroun’s first husband was a Muslim, and so is her daughter. Her current husband is Italian and a Catholic. “We are the only house in Egypt where the three religions are living under one roof,” she says. "With Yom Kippur beginning this evening here is a rare recording of Laila Mourad singing El Nora Alila, before her conversion to Islam.
" This prayer was written by Spanish philosopher and poet Moses Ibn Ezra (c. 1055-c.1138). It is part of the “Ne’ilah”, the closing of Yom Kippur prayers. It has been adopted in Ashkenazi rituals. "Adon Haselihot, an ancient Sephardi prayer (possibly dating from the days of the Geonim) is sung during the days of Awe and on Yom Kippur. It is now widely known in Israel and abroad and has been popularised. It is here sung by Avihu Medina. "Kol Nidre always gives me goose bumps. It is also a very ancient prayer in Aramaic aimed at releasing vows not fulfilled during the year in those days when people did not write contracts. Later its intention is limited to Jews meant who were forced to convert. "Here is the Sephardi Kol Nidre with the introductory prayer -Avinu Malkeinu. It is recited on Yom Kippur. Here is my favorite by baritone David Serero." For the 80,000-member Jewish community - now reduced to fewer than 15 - did not dwell on its brutal expulsion and displacement. It rolled up its sleeves and 'started over'. In a mixture of languages which reflected the muti-ethnic hotchpotch that was 1930s and 40s Egypt, Malki's interviewees dwell on the tolerance in the country - a product of culture, not education, as one patrician Muslim exile put it. One story stands out in particular: Ada Aharoni 's family took in a Muslim boy named Mabrouk. He lived with them for six years, but protested when he could not accompany them into exile: Aharoni's father was stripped of his work permit and the family were forced to leave for Israel in 1948. Her father gave the boy a sum of money and bid him spend it on his engineering studies. Much later, after the signing of 1979 Israel-Egypt peace treaty , Ada tracked down Mabrouk. He was delighted to see her; he had become an engineer, and was now the mukhtar of his village. The film seems to blame anti-colonialism for the downturn in the Jews' fortunes, when General Naguib and the Free Officers overthrew the pro-British and corrupt monarchy in 1952. But even as French and British passport-holders were expelled after Nasser's nationalisation of the Suez canal in 1956, Armenians, Italians and Greeks were not expelled - only the Jews. Discriminatory nationality laws had already rendered a large proportion of Egyptian Jews stateless. One of the most interesting aspects of the film is that the younger generation managed to adapt to exile so much better than the old. One father was astonished when his son got himself a job after answering a newspaper advertisement instead of in the time-honoured way of his father pulling strings. 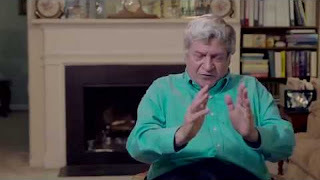 The film ends on an upbeat note - exile has led to undreamed-of opportunity: this refugee became an aeronautics expert, that refugee a senior engineer, this one a writer, that one a businessman. They bear out the story (in another film) about a Jew who insisted on laying flowers on Nasser's grave. The accompanying message read:" thank you Nasser for kicking us out of Egypt, for if you had not done so, I would never have become a millionaire!" Béart was born Guy Béhart-Hasson, in Cairo, the son of an accountant and business consultant whose work took the Jewish family to Greece, Italy, the US, France, Mexico and Lebanon. At 17, Guy left Beirut for Paris to study at the prestigious Lycée Henri‑IV and later the Ecole Nationale de Musique. His love of music – he studied the violin and the guitar – was matched by his passion for mathematics, and he also obtained a degree in engineering from the Ecole Nationale des Ponts et Chaussées. While taking a variety of jobs, including as a mathematics teacher, to support his family after the death of his father, he did the rounds as a singer in Parisian cabaret clubs and wrote songs for Juliette Gréco, Yves Montand, Maurice Chevalier and others. He recorded his first album in 1957, and the following year the Academy of French Records awarded him its Grand Prix. But his biggest success came with title soundtrack of François Villiers’ film L’Eau Vive (Girl and the River, 1958), a song regarded as a classic example of French chanson. This homegrown musical genre, as personified by Edith Piaf, Charles Aznavour and Charles Trenet, took a blow with the advent of Anglo-American rock and pop, which became known as chanson yéyé and turned Johnny Hallyday into a national icon. One of Hallyday’s early records was a version of Let’s Twist Again, by Chubby Checker; the celebrated “twist” that Béart lamented nudged him, with his poetic, often melancholic songs, into the shade. 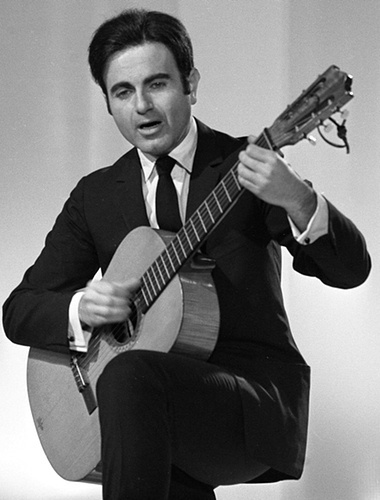 Béart, however, remained true to the music he saw as a high art form. This led to a clash with Gainsbourg in 1986 on a popular television show where Gainsbourg insisted songwriting was a “minor art”. When Béart challenged this view, the infamously outspoken Gainsbourg lewdly called him a connard. As the kids made their posters for the collection, I was not entirely happy. I was thinking about other Syrian refugees. I was thinking in particular about the Jewish population of Aleppo who were hounded out of their homes in 1947. There had been a Jewish community in Aleppo almost as long as there have been Jews (as long as, according to local legend, the time when the locals drank milk from Abraham’s goats, giving the city its name). 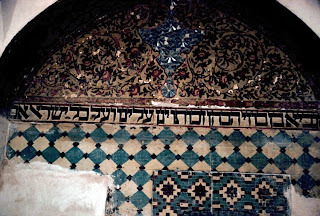 In the 1490s, Aleppo had received large numbers of Sephardic refugees from Spain and Portugal (whose descendants maintained the tradition of a ninth Chanukkah candle to commemorate their acceptance by the Aleppo community), but remarkably maintained a separate synagogue service that preserved the pre-Sephardic rite of the congregation. The Jews of Syria became increasingly uncomfortable during and after the period of direct rule from Vichy and later by the Free French. 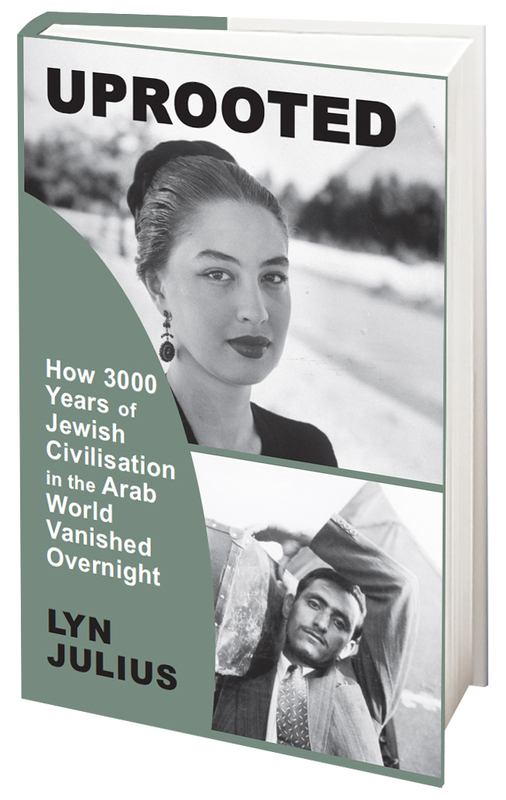 It is estimated that 4,500 Jews moved from the ancient Syrian communities to British Palestine between 1942 and 1947. The excuse for the organized mob violence in 1947 was the United Nations vote at Lake Success, New York, to partition the western coastal strip of Palestine between a Jewish state and an Arab state. It is very likely, however, that the pogrom was a deliberate part of the “Arabization” policy that the Syrian state had been pursuing over the year since the French evacuated the territory of their expired Syria mandate. The pogrom in Aleppo may have been worse than the one in Damascus because the ‘Alawis of Aleppo might have felt the need to show themselves to be just as Arab as their more orthodox Muslim neighbors. A large proportion of Aleppo’s prewar Jewish population of 10,000 fled the violence and destruction of communal institutions and personal property. The remainder were effectively internally displaced and ransomed by private Canadian funds over the ensuing decades. The Assad regime ended the prohibition on Jewish emigration in 1992 under pressure from the United States. By that time very few remained. Almost none of the refugees from Aleppo and Damascus was resettled in Europe. The largest number were resettled in Israel and the United States, with most of the remainder in Mexico, Panama and Brazil. The one place in Europe where Syrian refugees found a home in any numbers was among the Sephardic Jews of Manchester. On Sept. 4, an exhibition including 23 of the recovered items, along with videos of the painstaking restoration effort, will open at the Richard Nixon Presidential Library and Museum in Yorba Linda. The 2,000-square-foot exhibition, “Discovery and Recovery: Preserving Iraqi Jewish Heritage,” will continue through Nov. 15 at the Orange County site. Among the show’s highlights are a Hebrew Bible with commentaries published in 1568, a Babylonian Talmud from 1793, a hand-lettered and decorated haggadah, and a lunar calendar in Hebrew and Arabic. One section of the exhibition shows how the moldy mass of material was saved by the National Archives experts. “Every page had to be vacuumed, freeze-dried, preserved and digitized,” (archivist Doris) Hamburg said. On the Sept. 4 opening day, Hamburg will give a free public lecture at 10 a.m. at the Nixon Library. 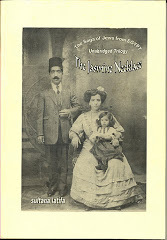 The exhibition is of particular significance to the roughly 3,000 Jews of Iraqi descent in Los Angeles, who make up the largest concentration among the estimated 18,000 to 20,000 Iraqi Jews in the United States. Other sizable communities are in New York City; Washington, D.C.; Arizona; Connecticut; Florida; and New Jersey. The spiritual center of the Los Angeles community is Congregation Kahal Joseph, a Sephardic synagogue on the city’s Westside. It has a membership of some 400 families, about 90 percent of which are of Iraqi descent, with the remainder from Burma, Indonesia, India and Singapore. After a number of years without a spiritual leader, Kahal Joseph welcomed Rabbi Raif Melhado to its pulpit last month. The congregation’s former president and current chairman of the board is Joseph Dabby, who said he lobbied intensively to bring the exhibition to Los Angeles after it had been shown in New York;, Washington, D.C.; and Kansas City, Mo. Asked why the exhibition venue would be located in Yorba Linda rather than at a central Jewish site in Los Angeles, Dabby said he had asked the Skirball Cultural Center and the Museum of Tolerance of the Simon Wiesenthal Center to host the show but was turned down by both. At the Museum of Tolerance, director Liebe Geft stated that no one at the museum had been contacted about the exhibition. She added that potential exhibits are judged on whether the subject matter and content are consistent with the museum’s mission, as well as with the logistics and available space. Currently, she said, the new Anne Frank installation is occupying all available space. Dabby’s greatest concern, however, is whether the thousands of books, documents and artifacts will remain in the United States or be returned to the government in Baghdad, as was stipulated in the initial agreement allowing the transfers to the U.S. National Archives. Given the unsettled conditions in Iraq and the presence of the Islamic State, with its penchant for destroying ancient monuments and historical religious artifacts, Dabby asked how anyone could guarantee the survival of the Iraqi-Jewish collection. His question was echoed by Maurice Shohet, the Washington-based president of the World Organization of Jews From Iraq. As agreed to by the Iraqi government, the Iraqi Jewish Archive (IJA) is in the temporary custody of the National Archives and Records Administration (NARA) for conservation, preservation, digitization and exhibition in the United States. In May 2014, the Iraqi government extended IJA’s stay in the United States to allow its exhibition in more cities. After its Nixon Library display, the exhibit is due at the Jewish Museum of Florida in Miami Beach in December. There are no definite plans for subsequent exhibits, but the United States “remains committed to the return of the IJA to Iraq, as per prior agreement,” Lavallee stated. Thus has the official Palestinian Authority news agency Wafa quoted the Palestinian leader Mahmoud Abbas, complaining that Israelis were trying to assure equal access for Jews and Muslims to holy sites in Jerusalem. Of the many insults and epithets launched at the Jews through the ages, none has quite the cultural pedigree of "dirty Jew". "Dirty Jew" has been a common expression of anti-Jewish antipathy throughout the centuries in Christian Europe. It was heard during the Dreyfus Affair in France, the Kishinev Pogrom in Russia, and during the rise of Nazism in Germany. "You must clean your courtyards and do not follow in the footsteps of the Jews" - who keep themselves unclean. "Jews were also thought of as rainmakers who could bring a good harvest by guaranteeing the fertility of the soil. Folk narratives of Arab and Berber tribes throughout North Africa stated that the Prophet Mohammed and his companions prayed for rain after a severe drought and only met with success when an old Jew went to a grave, took a bone, and started praying with his fellow Jews: In the middle of their prayers rain began to fall. Arabs and Berbers alike attributed this power to the fact that Jews smelled bad, and so, therefore, God granted their wish for rain showers—but nevertheless, in times of drought, Jews were called upon to pray for rain, even though they were typically not allowed to get close to the village spring, out of fear that they might desecrate it." Jewish 'dirt' was taken to its logical extreme in Sh'ia tradition, where the Jew was Najas, or impure: To wine and other spirits, dogs, swine, dead animals that were not ritually slaughtered, blood, excrement, and the milk of animals whose meat Muslims are not allowed to eat Shi’a jurists traditionally add dead bodies and non-believers. Thus Jews in Iran were not allowed to handle fruit and vegetables in the market, lest they contaminate them, and Jews were even known to have been executed in 19th century Persia for brushing up against Muslims in the rain, thus rendering them impure. As recently as 2006, Mohamed Ali Ramin, an adviser to president Ahmadinejad of Iran, said: "Jews are a dirty people. That is why one has accused them throughout history of spreading deadly diseases and plagues*." We Need Our Friends in Washington to Initiate Congressional Hearings on Reparations for Jewish Refugees from Arab Lands. On the “refugee question,” similarly, we have to go beyond playing defense. 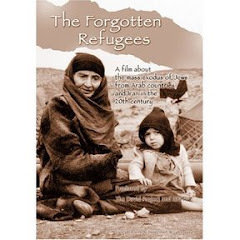 If there are refugees, then there were 800,000 Jewish refugees from Arab lands who lost everything when the Arab world uprooted them in the 1940s and drove them out from lands where they had lived half a millennium, even as those Arab countries confiscated their landed property. Today they and their descendants number in the many millions. So, if the 400,000 or 500,000 Arabs who departed from Israel during that parallel period, mostly voluntarily, now number in the millions of UNRWA “refugees,” it is time to demand justice for the even-more-millions of Jewish refugees who truly were forced into diaspora on pain of death. Demand legislative hearings in Washington, lots of hearings by lots of different pertinent Senate and House committees, in America’s capital on restoration of property and reparations for Jewish refugees. That is how issues become issues in America. One law student, Sandra Fluke, testified before a “mock legislative committee,” and the entire nation began debating whether the government should be required to pay for every American woman’s contraceptives. 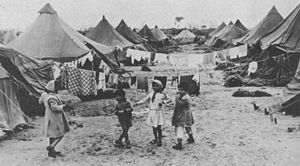 So we need hearings on the restoration of losses sustained by the Jewish Refugees from Arab Lands. 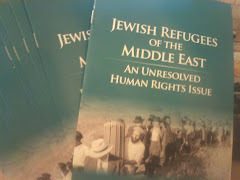 Then, with the issue explained and the American public educated, we need to demand freezes on Arab governmental assets in America for court-ordered seizures and for transfer to American families among the Edot HaMizrach (North African Jewish) victims to compensate and restore refugee property – just as we have been doing for Holocaust victims who today are recovering damages for stolen Nazi-era property, for unpaid wages during their enslavement, and for insurance benefits they were owed but never paid after having paid their life-insurance and commercial-property premiums in Europe during the years of the Holocaust. 5. We Americans Must Stop Funding UNRWA. Demand a complete end to all American funding for the UNRWA, the United Nations agency that promotes anti-Jewish hatred throughout Gaza and in Judea and Samaria, as they accede to the myth of “Palestinian refugees in Palestine.” We are so accustomed to playing defense that we never even ask: “How in the world can people who were not even alive in the 1940s be called ‘refugees’ from somewhere they never fled? And even if they were ‘refugees,’ how can they still be deemed as ‘refugees’ now that they are living in their supposed homeland?” When people “return home,” they no longer are “refugees.” Period. End of story. Under any conceivable definition or scenario, how can there be “Palestinian refugee camps” in Jenin or Gaza? Are there “Katrina refugee camps” in Baton Rouge? “Hurricane Sandy refugee camps” in the Bronx? The UNRWA needs to close down in Gaza, in Jenin, and elsewhere – and America needs to stop funding it. Most American citizens have no idea that the United States funds more than one-fourth of the UNRWA’s annual $550 million core budget, while most Arab countries contribute a pittance. Last year, the United States gave $130 million to the UNRWA core program, and the European Union gave $120 million, while Saudi Arabia gave $2 million, Kuwait gave $2 million, Qatar gave only one million, and Egypt gave fifteen thousand dollars, while Iraq and Libya gave nothing. In today’s economic environment, there will be many in Washington who will be delighted to see this aspect of an offensive approach to Zionism once they are educated to this incredible anomaly. The money saved might even be redirected to bolster the economy of Ukrainian freedom advocates. The European Union can redirect the money to its financially tottering constituents know as PIGS: Portugal, Ireland, Italy, Greece, and Spain. Nowadays Mizrahi music is dominating Israeli popular culture - but people still prefer to listen to the music they were brought up with, writes Elad Massuri in Jewish Journal. I interviewed Shlomi Shabat, one of the most famous Israeli singers to come to L.A. in recent months. If we want to compare him to American singers, Shlomi Shabat is our Stevie Wonder. He is a “soul singer” in that his songs are an inseparable part of the Israeli music and his music is widespread in the different sectors of the Israeli society. With excitement, Shlomi told me of his experience performing in front of Israeli audiences, and he shared with me that during his concert, he saw different kinds of people from different ethnicities in the audience — religious and secular, Ashkenazi and Mizrahi. The audience variety at his concert exists because Shabat, a Jewish Israeli with Turkish roots, found during his career a certain formula for songwriting that draws influence from different Jewish cultures. 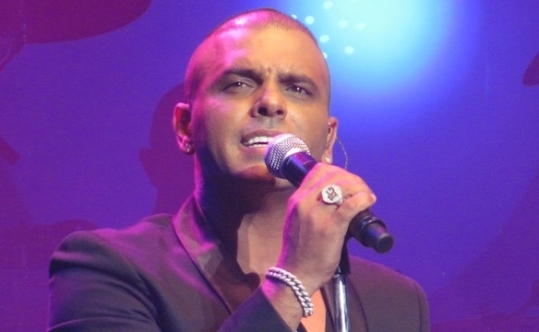 In his songs are some European elements that came from the Ashkenazi diaspora, some elements from the Mizrahi diaspora, and from Israel and from the Middle East. While I was talking with him, I was trying to understand what exactly is “Israeli music.” Does it even exist? After all, Israeli Jews are a mix of Jewish people from all over the world. In the past five years, Israeli music went over a few speed bumps. The Ashkenazi music, which dominated for a few decades in Israeli mainstream music, had played on radio stations almost exclusively. But in the past five years, things changed and Ashkenazi music lost its popularity — it became much less played on the radio, and it no longer dictated the agenda of the Israeli music. At the same time, after years of social isolation, when Mizrahi music was not played on the radio and the singers worked only at small events such as weddings and bar mitzvahs to make a living, Mizrahi music suddenly became more popular. Today, Mizrahi singers are dominating the Israeli music scene and they earn a lot of money from concerts in Israel and worldwide. There still isn’t a nice way to say it: You are more likely to find a Mizrahi audience at Mizrahi singers’ concerts and an Ashkenazi audience at the Ashkenazi singers’ concerts. This division is not because of an aversion to certain singers’ roots. Music is a product of culture, and people who grew up in a certain culture learn to know and love the music that was played around them. We connect with music that reminds us of home, with melodies that were played during our childhoods and with lyrics that talk about familiar topics. That is what’s happening, naturally, in synagogues in Israel and Los Angeles — most Mizrahi Jews will want to go to Mizrahi synagogues so they can pray in their own familiar way, and it is exactly the same for Ashkenazi Jews. It is impossible to turn back the clock and change the cultural influences that each generation is steeped in; the faith and music of one's childhood is inextricably linked to their parents and their synagogues. They will probably influence their own children the same way by imparting their own tastes onto the next generation's psyches. It is important for us, the Jewish public, to be exposed to a variety of Jewish music so that we won’t lose parts of our culture. The music that the Jewish and the Israeli communities in Los Angeles are exposed to today will become the music of tomorrow. This way we could remove the barriers between the two cultures and we could create a single Israeli music that tells of our different cultures — for example, as is being done by artists such as Boaz Sharabi, who uses melodies from the Yemen-Jewish diaspora but also Western musical instruments such as piano and violin, and whose lyrics address topics that every Israeli can feel connected to. The same principle exists with Shlomi Shabat, who wrote songs that became Israeli anthems, and Idan Raichel, who combines world music with ancient, almost biblical Hebrew words. Iran’s supreme leader Ali Khamenei may be urging the Jewish state’s extinction and anticipating its demise, but Iranian President Hassan Rouhani still took time Sunday to wish the Jewish people a happy new year, just in time for the Rosh Hashanah holiday. The message was accompanied by a 2006 Reuters image of Jews praying in Yousefabad Synagogue in Tehran. L’Shanah Tovah is Hebrew for, May it be a good year. Iran had between 80, 000 and 100, 000 Jews before the 1979 Islamic revolution but most have since fled, mainly to the United States, Israel and Europe. There are now only about 8, 500, mostly in Tehran but also in Isfahan and Shiraz, major cities south of the capital. On 23 August 2015, an important conference was held in Montreal, Canada by the Dahan Center, based at Bar Ilan university in Israel. The conference looked at Sephardi communities from North Africa and the Middle East who settled in North America. It is no accident that Montreal was chosen as the venue: as one of the speakers explained, half the Jewish community was Sephardi (mainly Moroccan); as it was growing faster and was more religious, there was every expectation it would become dominant. Here is the video of the speeches at the opening dinner, introduced by Dr Shimon Ohayon of the Dahan Center. At 40 minutes into the clip, the seven Moroccan musicians get an opportunity to play music from the Judeo-Arabic Andalusian tradition. The band leader explains that this style of music predates the expulsion of Jews and Muslims from 15th century Spain, and goes back as far as the 9th century. In the 16th century, there were 200-member orchestras playing to audiences of 1, 000. Point of No Return hopes to upload more videos of this conference as we get them. Here is Yaniv Ben Mashiah Pticha singing a Selichot prayer entitled : "I got up at an early hour: why are you sleeping, Man? " Selichot are penitential prayers said before and during the High Holy Days and other fast days throughout the year. But the term first appears as a reference to the biblical verses that were added to the Yom Kippur liturgy. Eventually, the holiday prayers were combined with general prayers of repentance. The prayer book of Rav Amram Gaon, from the 9th century, for example, includes a collection of these poetic writings and meditations. While these prayers were initially only recited during the days between Rosh HaShanah and Yom Kippur, the custom developed to use them in the days beforehand as well. In Hebrew, selichot translates to “forgiveness,” and indeed there is an emphasis in these prayers on the merciful attributes with which God is said to govern the world. In many ways, the prayers which make up the Selichot service mirror what we find on the Day of Atonement which follows soon after. 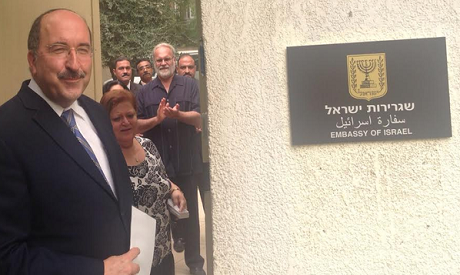 Israel's Foreign ministry director-general Dore Gold at the inauguration of the Israeli embassy in Cairo earlier this week. After four years, the Israeli embassy is re-opening in Cairo, Egypt, Ahramonline reports. Initially, the embassy will operate from the ambassador's residence. Israel has reopened an embassy in Cairo after four years of closure, the Israeli prime minister's spokesman to the Arab media, Ofir Gendelman, announced on Wednesday. The Tel Aviv mission in Egypt closed its doors in the aftermath of the storming of its former premises in Giza in 2011 amid anti-Israel protests. Gendelman added that Dore Gold, the director-general of Israel's foreign ministry, attended the re-opening ceremony along with Israel's ambassador to Cairo Haiem Koren. "Under the leadership of prime minister Netanyahu and president El-Sisi we have seen off threats and we are working with Egypt to achieve stability in the region," Gold said at the event, adding that "Egypt will always remain the region's biggest and most significant country." In September of 2011, a few months after the outbreak of the 25 January revolution, hundreds Egyptian protesters who were angered of by Israel's killing of six Egyptian border guards. Since then Tel Aviv has carried out its mission's operations out of a small office at the Israeli ambassador's residence in the district of Maadi, in south Cairo. According to Israeli daily Yediot Ahronot, the Israeli ambassador's residence will be officially used as the headquarters of the Israeli Embassy until a new building to host the mission is constructed. 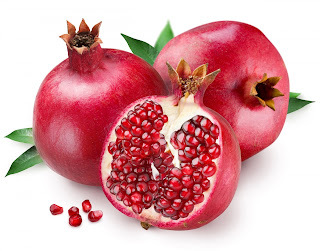 At the Sephardi Rosh Hashana meal (which begins on Sunday evening) it is customary to eat symbolic sweet foods and say the blessing :"May our good deeds be as plentiful as the seeds of a pomegranate." Here is a Persian recipe reproduced in the Arizona Jewish Post which combines both honey and pomegranates to make a rich and tangy dish. "In “The New Persian Kitchen,” author Louisa Shafia offers numerous pomegranate dishes, including a classic Iranian stew called fesenjan that is often served at celebrations. The chicken is cooked with beets and thickened with coarsely ground walnuts and pomegranate molasses. As in many Persian dishes, pomegranate seeds are used as a glistening, jewel-like garnish. Shafia illustrates removing the seeds a few different ways, but I like the “water method” best. Simply slice off the two ends and quarter the fruit with a knife. Submerge the quarters in a bowl of cold water and pull out the seeds with your fingers. The pith and skin float to the surface as the arils sink to the bottom. Scoop out everything but the seeds and pour water and seeds through a mesh colander to collect them. Consider using pomegranates in your Rosh Hashanah meals when it is considered a positive omen, or segulah, to incorporate symbolic foods in our holiday menus. Whip up this easy chicken dish and you’ll have both bountiful and sweet symbols covered. Holiday chicken is potent with pomegranates goodness as this symbolic fruit is used in 3 ways: juice, molasses and arils. The flavors are bold, tangy and slightly sweet — a Middle Eastern-influenced sweet and sour! Pomegranates are highly symbolic in Jewish tradition, most often associated with fertility and good deeds. By combining the tart flavors of pomegranates with honey here, the sweetness balances the tang and positive energy is imbued in this main course for Rosh Hashanah. Note: The simmer sauce may be prepared 2-3 days ahead and refrigerated until ready to prepare the chicken. Heat 2 tablespoons canola oil in a large pan (you’ll need a lid for later). Saute chopped onion until soft and translucent. Add minced garlic and saute for 2-3 minutes (do not brown). Add pomegranate molasses, juice, honey, broth and spices. Stir and bring to boil. Reduce to an active simmer; cook uncovered for about 20 minutes or until sauce is reduced by about half the volume and slightly thickened. Taste sauce and adjust seasoning. Too tart? Add 1 or 2 tablespoons of honey. Want more kick? Crack more black pepper. Remove sauce from heat and pour into bowl. Set aside. Rinse chicken parts, pat dry, season with salt and pepper. Heat remaining 2 tablespoons of oil in pan and place chicken parts skin side down. Brown on one side and flip to second side. Do not crowd chicken in the pan as this causes chicken to steam rather than brown. Lower heat, pour prepared simmer sauce over the chicken. Cover pan and simmer on low for 35-40 minutes. Remove from pan and platter, garnishing with chopped parsley and pomegranate arils. Wishing all Point of No Return readers Shana Tova! Have you ever wondered why Tunisian Jews eat fish couscous at Rosh Hashana (New Year) - and why some Jews have names that remind them of fish? Avraham Bar-Shay (Benattia) explains (via Harissa). "This is a very old story that our parents told each other, believing that we would understand nothing. I hope that those who knew it, would have forgotten it and will take a little pleasure to read it again. During the month of Elul at that time, Jews of a coastal town in southern Tunisia were woken up very early in the morning to pray and ask for forgiveness (Slih'ot) for the sins they had committed during the year that was about to end. The shamash (synagogue beadle) was charged with this task, by tapping on the doors or shutters of his co-religionists. He bravely walked the dark lanes of the neighborhood, holding his oil lamp in one hand and his young son in the other.He cried in front of each door: "Slih'ot, k'oum leslih't". For those whom he knew well, he added a few extra words of encouragement. A non-Jewish neighbor was disturbed by these calls and thought he heard the Shamash say "Sri h'out el, el k'oum Nesri h'out" (Buy fish, wake up, we'll buy fish). He quietly followed the shamash and saw that he was awakening all the Jews of the neighborhood. The next day, it was exactly the same scenario. He went to his friend, a deep-sea fisherman, and told him the story. The neighbor, after checking for himself, assembled his colleagues and concluded that the Jews were getting up early to buy fish from strangers.They decided to get ahead of him, and carried their supplies instead to the synagogue, even before the first Jew had arrived. Anger followed surprise when no Jew had bought their goods. They thought their competitors were already in the synagogue yard. They waited to settle accounts with these dishonest neighbors, but they saw the Jews go out without their fish. In those days, fish was not sold by weight but by Shcouc (singular Shec) - "clusters" of several fish put on a thin rope through the head. They thought they would catch the shamash and ask for explanations. When they realized their mistake, they all laughed at their misunderstanding and decided to sell their fish at half price. And all the Jews who had gathered on the square, bought the fish. That day, all members of the community ate fish couscous. A year later, on Yom Kippur during the Birkat Cohanim (Blessing of the High Priests), many mothers were seen in the synagogue with their young babies, all a few months old. It is said that those who ate the Slih'ot fish of the previous year could not sleep a wink that night. Today we can confirm that these fish also contained Omega3, stimulants synthesized in recent years for incorporation into blue pills.The number of babies was much larger than in other years and to counter the evil eye, they had decided that the newborns would all bear names that reminded them of fish. These names became popular and were adopted for all time. 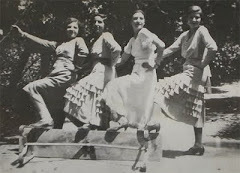 Girls' names: H’outa, H’ouita, Sabroussa, Morjana, Menana, Bah’ria. 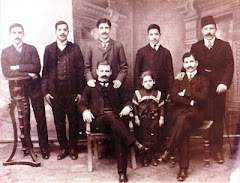 Boys' names: H’ouati, H’aoiat, H’oitou, H’attani, Manani, Karous, Bah’ri, Ouzifa. Shana tova - A Happy (and fishy) New Year! Western media habitually fall into the trap of writing to please an autocratic ruling regime - so it can make a show of 'tolerance'. Under official pressure, Roya Hakakian herself (writing in the Tower) saw the late Bob Simon come back from Iran with a different story than the one they had set out to write. 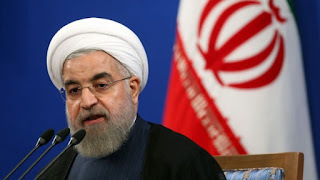 The latest example of Iranian manipulation was the regime's demand that the Forward's reporter, Larry Cohler-Esses, request a letter of recommendation from the Iranian-Jewish leadership in return for a visa. The Forward should have rejected this demand, not just because it holds the Jews of Iran hostage to a favourable report, but that it assumes a worldwide Jewish network of influence. The demand for a letter should have instantly alarmed the Forward, for it was made based on the bigoted notion that the Jews run a worldwide network which can instantly be activated. Why should an Iranian Jewish leader be asked to recommend an unknown journalist for a visa if not to generate a clear signal to the invested parties as to on whose credit he was getting in and what was expected of him to return with? The Jewish leader who vouched for the Forward was, it seems, mortgaging his freedom in the hopes that Cohler-Esses would not print what might have incited the ire of the regime. Has such a letter of recommendation ever been asked of, say, the Economist or Der Spiegel? By focusing on Ben Gurion's undoubted contempt for Oriental Jews in the Israeli army in the 1950s this Haaretz article by academic Shay Hazkani, whose controversial work has been published by Electronic Intifada, adds grist to the leftist view that Israel adopted a 'colonial' view of its Mizrahi immigrants. Let's face it, uneducated Mizrahim were not ideal army material. But the IDF has made immense strides in bridging the divide and today the Chief of Staff is a Moroccan Jew. Prejudice amongst Israel's Ashkenazi elite still exists, but they are fighting a losing battle, as it were. It’s rare to find a document from 64 years ago that reads as though it were written yesterday. In 1951, when Maj. Ezra (William) Aaronson wrote a report about Mizrahim, no one thought in terms of multiculturalism or political correctness. From Prime Minister and Defense Minister David Ben-Gurion to the higher echelons of the Israel Defense Forces and down to brigade and company commanders, hardly anyone was ashamed of the approach taken toward Mizrahim. The archives are studded with on-the-record comments about the supposed inferiority of the “members of the oriental communities” – in the parlance of that era – as compared with their European brethren. Aaronson was exceptional in his ability to see things from outside the spirit of his time. It’s not surprising, then, that the report he wrote on Mizrahim in the military was immediately shelved, though not before senior IDF officers picked it apart. Fortunately, a copy of the subversive report survived in the IDF Archives. Aaronson’s was a lone voice. The new Israeli elite – composed almost entirely of European-born Jews – firmly held on to the view that Mizrahim were inferior. Like many of Zionism’s founding fathers, Ben-Gurion too looked down on them, and the example he set was then adopted by the IDF’s entire officer corps.